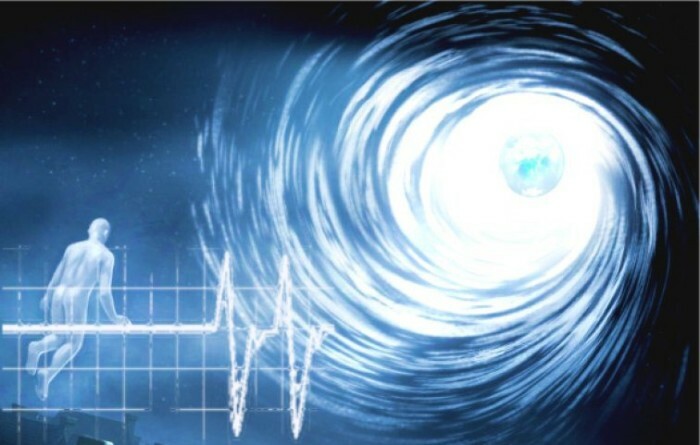 The idea of a soul-catching net or soul net that awaits us at death – and keeps us in the Matrix – is a grim and highly disturbing notion, but one which I believe has to be considered by all serious researchers of the global conspiracy. True free thinkers want to know exactly where the global conspiracy rabbit hole ends. Just how far does the suppression go? Past this lifetime? Past this planet? Well, the answer may well be yes to both. After you spend years of research going through the many layers of political corruption, corporatocracy, surveillance, false flag attacks, central banking, GMOs, geoengineering, Zionism, Illuminati bloodlines, the radiation agenda, UFOs and ETs, alien intervention and more, you come to realize that the true source of the suppression is at the intersection of consciousness and conspiracy. There are many researchers who will be unable to contemplate this topic, or refuse to go there, because it clashes with their belief systems, such as religious belief systems (the afterlife is either Heaven or Hell, or 100 virgins, but not a soul net), scientific/materialistic belief systems (there is no such thing as a soul or consciousness) or various other belief systems (there are no such things as aliens or extraterrestrials, etc.). If you have read this far, you probably are ready to go beyond those belief systems, having realized they are set up to create a false dichotomy, and to limit and disempower you. You have probably also realized that the true manipulators at the helm of the conspiracy are non-physical entities, which various religions and cultures have referred to the Archons (in the Gnostic tradition), Djinn or Jinn (in Islam), Demons (in Christianity), the Mud Shadow (in the books of Carlos Castaneda) or by other names. The idea is that upon death, our soul or consciousness separates from the body and then undergoes a process where its memory is wiped clean and it is recycled – reincarnated – into another body to repeat the same process. In this way the Earth becomes a literal prison planet from which it’s very difficult to escape. The soul net is placed there as an artificial energetic grid (not the natural energetic grid of ley lines of Planet Earth) to prevent any soul from getting through. Thus the Earth remains a closed system where new people are constantly born for the purpose of powering the economy and generating (negative) emotion for the Archons to feed off, not remembering Who They Are or what the real situation is. The soul net ensures the planet remains a trawling ground for the Archons to trigger our emotions (which they expertly do through the media, war, fear and other methods of deception) so they can get fed. As Don Juan put it in Castaneda’s final book, The Active Side of Infinity, we are like humaneros, raised like livestock on a farm to be exploited. Yet what if, as David Icke, Wayne Bush and others have suggested, the white light at death – and light itself (in this context) – is the trick? What if light is the source of the deception? After all, the Illuminati and other Secret Societies worship Lucifer, the Light Bearer. Michael Tsarion talks about the occult weaponization of light. Cameron Day talks about why he is no longer a lightworker, because of the false duality and the fake “light”. What if the New-Age talk of “light” is another trap? What if light is the source of the matrix prison planet? What if light is the mechanism for the soul net? Simon Parkes is an incredible modern day ET contactee. If you listen to his interviews it is clear he is a rational, level-headed man, who even holds a position in local government in England. Parkes states that alien intervention and genetic manipulation occurred earlier in humanity’s history, where our DNA was tampered with and our psychic abilities repressed. This was done so that no one could challenge the prison guards (the Archons). In presentations such the video above, Parkes also mentions the trick of the white light and the soul net. The WingMakers story is an astonishing creation, full of stories of humanity’s history, poetry, paintings and music, well worth checking out. To me, one of the most powerful of the stories – which are written as fiction but come across as completely factual – is the Neruda Interview #5, where we learn of how all of us humans – who are divine, infinite consciousness – came to be trapped inside physical bodies that die. The deception came about through the conspiring of 3 separate alien races (the Annunaki, the Serpent Race and the Marduk) who found a way to trick the Atlanteans (our ancient ancestors) to inhabit biological vessels (the human body). Part of the deception involves Anu, the reptilian king of the Annunaki, ruling over humanity as king, and setting up planes of existence to ensure we never get out – including the soul net reincarnation plane.